There are ample reasons why muting tweets may be the best option for you than unfollowing or blocking certain people on Twitter. While unfollowing or blocking may sound a bit harsh when we are talking about the “social” world, muting might be helpful if you just want to mingle with certain people on your timeline. 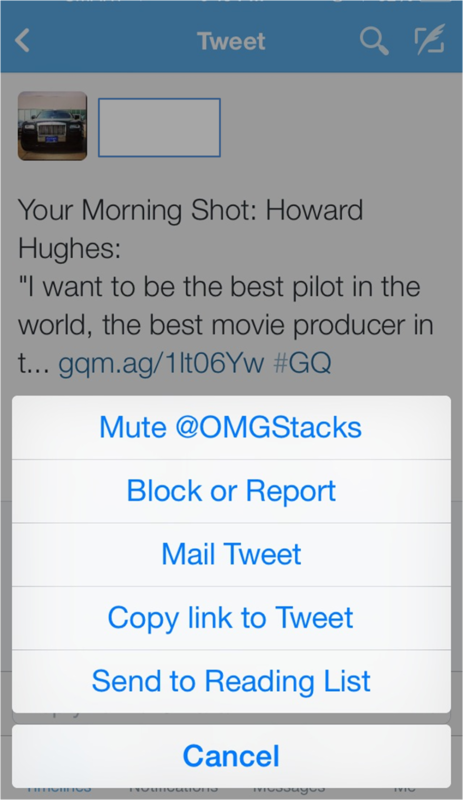 The Mute option is now available in iOS and Android updates. This opens a whole new customization of tweets you want to see on your timeline. Most of us suffer in the dilemma of whether or not unfollowing or blocking a certain friend or family member. In doing so, may lead to unhealthy relationship with them. So if you follow people with unpleasant tweets, you can always toggle that evil side of yours and mute them anytime of the day without them knowing it. So how do you “Mute” someone in Twitter? Mute a user by clicking the gear icon on the user’s profile page and then choose the mute option or click “more” next to the user’s tweet and then “mute @username”. When everything is fair and well, you can just simply unmute them. This nifty feature, as well as the other available options in your settings, gives you more control of the content of your feeds.